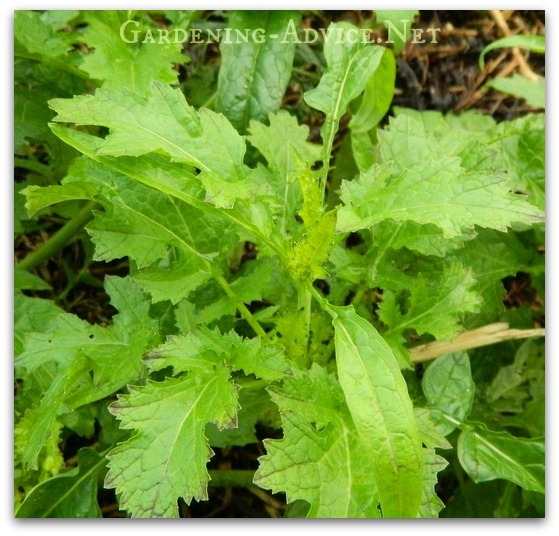 Growing Mustard Greens - Salad Leaves From Late Summer Til Spring! Flavourful Salad Leaves From Late Summer Til Spring! 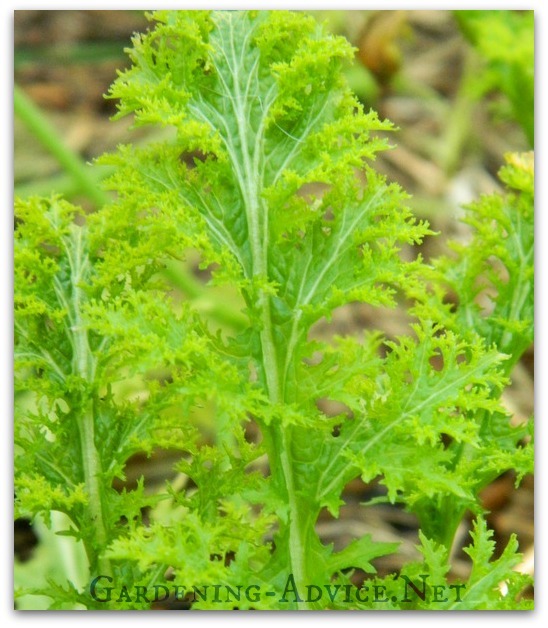 Growing Mustard Greens is very easy! These delicious salad leaves are beautiful and have strong flavors that mix well with other leaves. Do you like to add a bit more flavor to your salad bowls? 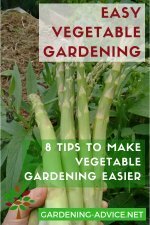 Try growing mustard leaves! 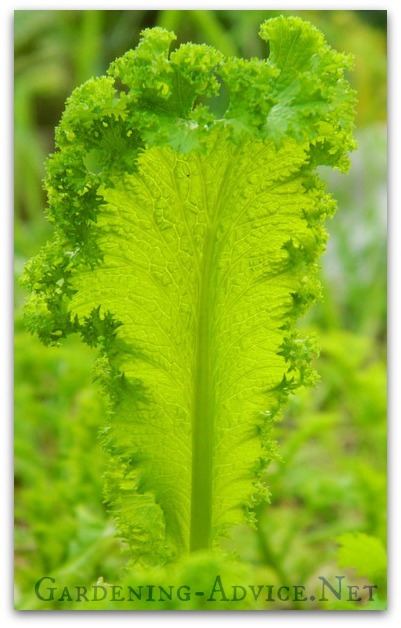 These types of salad leaves are very easy to grow and yield over a long period of time if you grow them at the right time of the year. They love cooler temperatures so they are not very productive during the hot summer months where they just run to seed. But grown during fall and spring they are great performers. 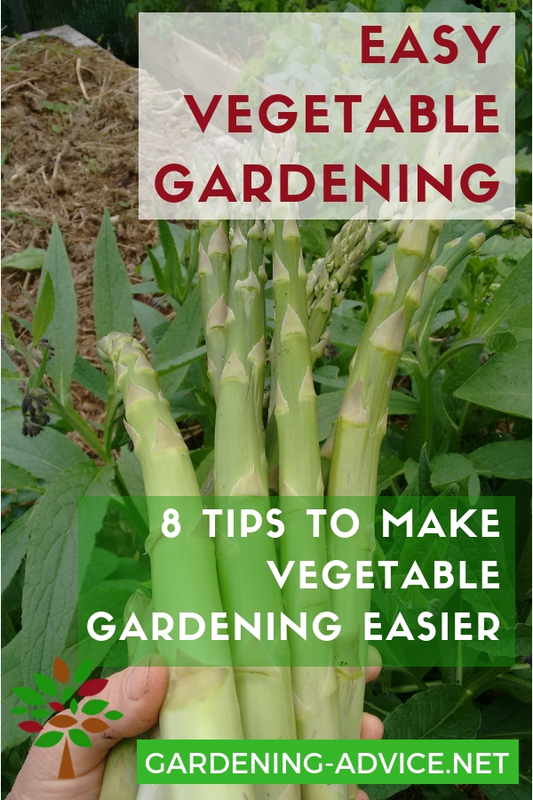 They can also be grown as winter greens in cool greenhouses or hoop tunnels. Mustard leaves are quite spicy and depending on the variety can even be hot...like mustard! 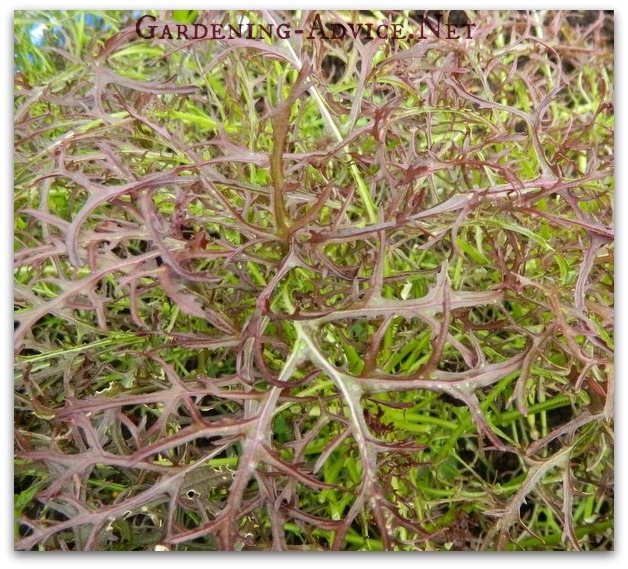 Shredded into to the salad greens they add great zing to a boring lettuce. I love growing different varieties of mustards. 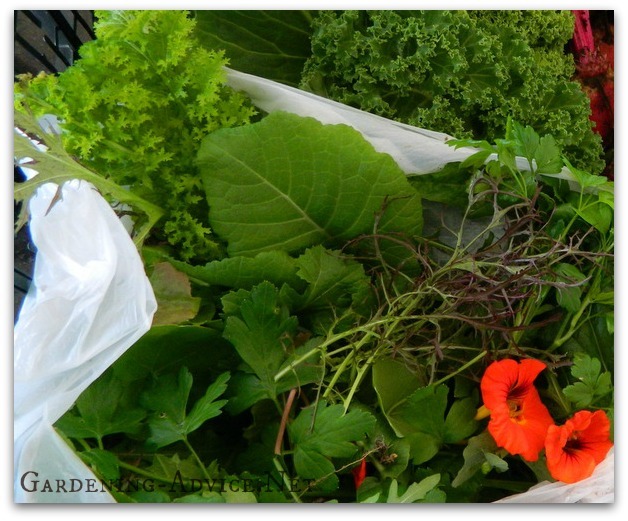 There is a great variety of mustard greens with different colors, textures and flavors available. Mustard Leaves are quite hardy and are a great green for growing from late summer until spring. Once the days start getting longer the plants will start to flower and set seeds. Don't hesitate to pick the flowers and sprinkle them on your salads. The have a nice flavor too. These mustard leaves just self-seed! 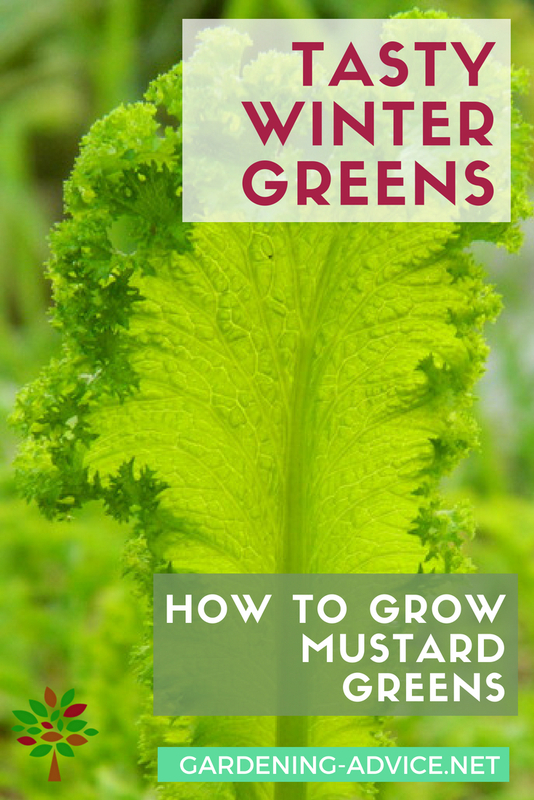 Don't try to grow mustard greens during the summer. They will just go right to seed and won't produce many leaves. Wait with sowing until after the long summer days. Sow them earliest from late July to September. Later sowing can be made under cover in a greenhouse or indoors. 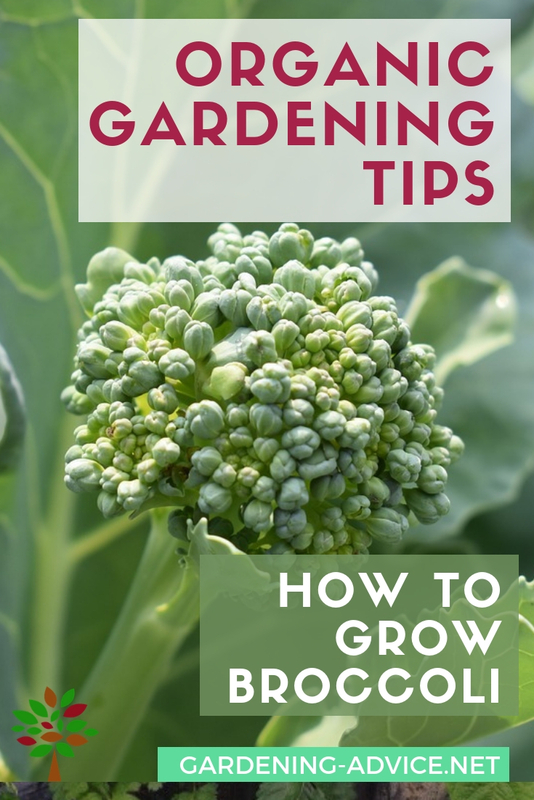 You can also sow very early in spring if you are growing in a greenhouse or tunnel. Plants will go to seed usually by May or June. Mustards do not transplant very well. 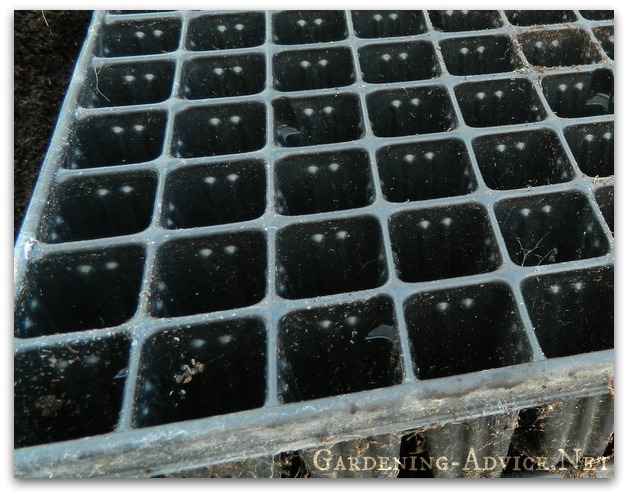 So either sow them right where you plan to grow them or use cell trays. This is my favorite way of starting off most vegetables. This allows them to develop a nice rootball that can be transplanted without disturbing the growth of the plant. If you decide to grow in situ sow into shallow drills and thin the seedlings to the desired distance later. You can, of course, eat the thinnings! 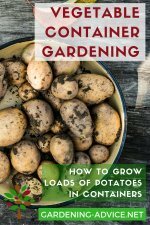 Plant them in a well-prepared bed with good soil. Keep the rows about 8-10 inches apart. Plants in the row should be about 2-4 inches. Spacing depends a bit on the variety of mustard. Varieties like Red Giant will need a bit more space. I prefer to sow seeds in modules also called multi-cell trays if possible. They allow the plant to develop a strong root that won't get disturbed when ready to plant out. This is often much more successful than sowing in-situ. 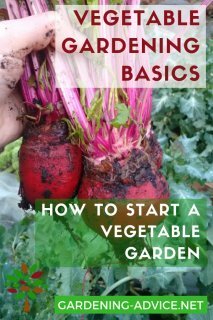 Plants will get a great headstart and are less prone to get affected by pests like slugs and snails. Mustards can also be easily grown in pots and containers. I like to grow the over winter in the polytunnels in lined plastic boxes from the supermarket. That works really well and is very simple. Pick up some plastic boxes. I use empty compost bags as a liner. Cut them to size and punch a few holes in it for drainage. Line the box with it and fill with a mixture of organic potting soil and well-rotted compost. Plant your mustard plants in and water well. You can also do this with lettuce and other salad leaves like land cress or Mizuna. Keep your mustards producing over a long period by picking the leaves regularly. By growing in a polytunnel or under covered hoop tunnels, you can keep them growing all winter until April. 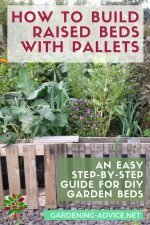 Mustards are great for letting self-seed in your garden. Just let a few plants go to seed and let them spread their seed. Let them grow where it suits and weed them away in other places. You can also harvest the seeds for growing mustard greens somewhere else or keep it until it is time to sow them again. 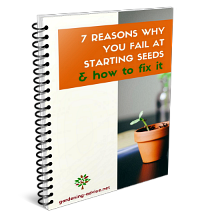 If you grow several varieties they might cross-pollinate and produce different seedlings.